As yet another year has passed, 2019 seems to be THE year of transformation and radical change. The environment, our health and the well-being of others are on everyone’s to-do list. TEDx Talks, manifestos, World Economic Forum meetings, UN Climate Change conferences, various social #revolutions and the call for new technologies and circular design have started a dialogue on today’s issues, highlighting worldwide what is happening and what we (should) do, design, produce, say, educate, buy, eat, wear … better. The finger of blame points in many directions, whether it is towards the government, the consumer, the industry or the happy few. One thing is for certain, everything that is seen as wrong in this world is 100% HUMAN. I have always found it fascinating to see that when society changes its mind and starts questioning different topics, the value or meaning of words, labels and systems change as well. Over the last 15 years, we have seen the popularity and global power of certain (marketing)words and labels increase ever so rapidly: from healthy, green, fair trade and eco-friendly to ethical, sustainable, circular and most recently conscious. Changing and influencing our behaviour, emotions and actions towards consumption, design, production and disposal. However, do they truly mean the same to all and how have they changed our behaviour as initially intended? The latest buzz word that is now infiltrating into the brands’ conversations with their consumers - also influenced by Artificial Intelligence and biotechnology - seems to be ‘human’, putting the spotlight on questions that previously only dominated the minds of philosophers, psychologists, artists and (bio/neuro-)scientists: “What makes us human? and/or “What makes us (economically) relevant and what is/will be our value in the future?”. It is the behaviour and mindset of humans, which has put an undue strain on nature, as we extract, process and discard too fast. In 2019, I will continue to research, challenge and explore the definition of progress and innovation, the role that language plays and specifically the rise and meaning of the word ‘human’ related to the transformative role and purpose of design and identity. Preferably before companies, policy makers, brands and marketing agencies take control of the global definition of ’human’, most likely to influence our emotions and enlist us in their favourite cause of action: to consume, conform or controle. Through collecting the stories of, hopefully, 100 different humans I want to shine a light on what drives us and our choices from different angles and disciplines, led by the power of collaboration and beauty, the complexity of human nature and the impact of nurture. I aim to develop a new perspective on possible guiding design principles that are adaptable to any DNA and question. With this improving (the knowledge and understanding of) the role that human nature and nurture play within the context of design, art, science and education. Focussing not only on the result but also on the origin of the creative process while underlining the relevance of research, collaboration & communication. Humans have the ability to expand their social network beyond the group they are born in or grow up. We are also born to learn (it’s a natural process) and need social interactions to reach our full potential. The interactions that we have with others - made possible also because of our complex communication skills - allow us to see different perspectives and helps us to share our thoughts, experiences and knowledge, and learning from each other generation after generation. Creativity has always played an essential role in our development as a species. We survived not so much because we are the strongest, but because we were challenged to be the most creative. It is not the fire, the rock or our ability to walk that is unique, these are all results of our ability to imagine, of our creativity. Best driven by challenges and conflicts. Every step forward that we take is supported by our ability to think creatively and imagine a world that not yet exists. No species that we know of other than us humans can look at a rock and envision that inside it can be a different (more useful) function. Then, reshape that rock to a tool with a new function/form and share the information (of the process) with other members of their species. I have never doubted our ability to overcome any problem as we are capable of imagining many answers. The only thing is, we don’t (or shouldn’t) follow a linear path. Our development, whether it is education, design or policy, needs to be an ongoing ‘livewired’ process in line with the transformation of the natural world and its diverse society. Therefore, it is not about only searching for the right answers to current symptoms, but it is more relevant than ever to keep asking ourselves and others the right questions to reveal its true cause. Otherwise, today’s solutions might cause even bigger problems in the future. The true innovation (and challenge) will lie in our purpose, our ability to sustain 100% human, based on our knowledge and values as well as how we are answering to today’s questions and issues with design and technology. 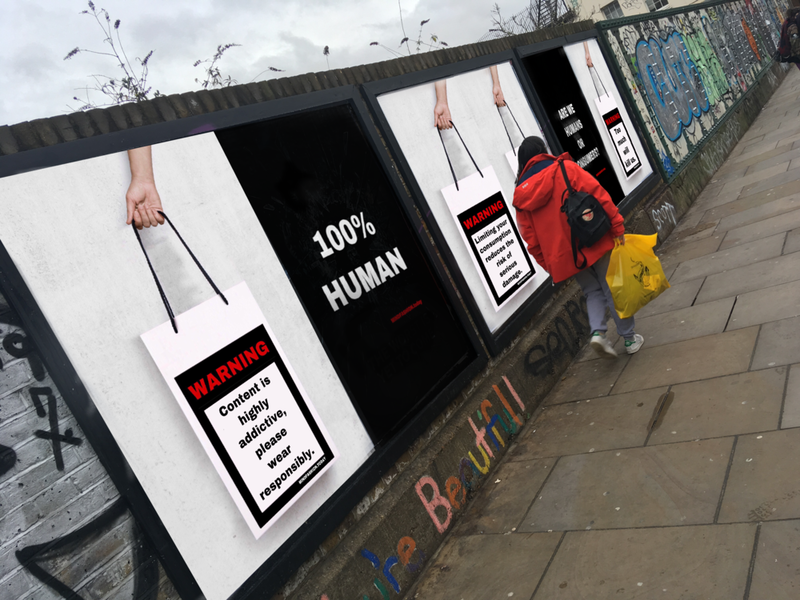 Read also previous MINDFASHION.today blogs including Are we Humans or Consumer, Pendulum of Progress, A Closer Loo(k)P and Disposable Me that highlight our (possible) addiction to fast fashion and the role we play as consumers as well as today’s search for meaning.